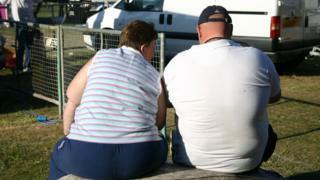 Britain is the most obese nation in Western Europe, with rates rising faster than any other developed nation. Obesity rates have doubled over the past two decades, and 63% of UK adults are overweight, according to the Organisation for Economic Co-operation and Development (OECD). Britain is now sixth heaviest – “considerably worse” than the rest of the 35-member club of wealthy nations. The UK’s comparatively high adolescent drunkenness rate is also a key concern. However, the OECD Health at a Glance report said the overall health and life expectancy of Britons remained average – aided by a reduction in smoking and adult drinking – despite a noted shortage in hospital beds and staff. Is this the food that is making us all fat? 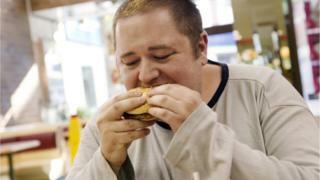 British obesity rates have grown to 27% of people with a body mass index (BMI) above 30. The OECD average is 19%. Overweight people have a BMI between 25 and 30. The OECD lists the UK as one of five countries suffering from “historically high” rates of obesity since the 1990s – increasing by 92%, compared to 65% in the United States. “Obesity means higher risk of chronic illnesses, particularly hypertension, cholesterol, diabetes, cardiovascular diseases,” the report said. The OECD recognised campaigns to fight obesity, such as the decision by hospitals in England to ban ‘super-size’ chocolate bars from hospital outlets, and the impending government sugar tax, but said “more could be done”. A number of OECD nations, such as Australia and Canada, have managed to reduce and stabilise obesity levels in recent years, but Japan remains lowest at 4%. Britain is, however, doing better at tackling child obesity. Figures show it is stable at 24%, remaining below average over the past decade, at a time when it is increasing rapidly across the rest of Europe. Although smoking rates are down, harmful alcohol consumption among adolescents continues to be a problem. 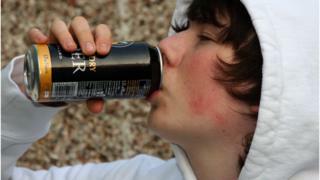 The OECD found that 30.5% of 15-year-olds admit to having been drunk at least twice in their life. This is considerably higher than the 22% average. Good access to treatment remains stable for patients, although the number of doctors and nurses is down per head by 18 and 12% respectively. The report praises improvement in some cancer outcomes, with the survival rate for breast and rectal cancer surpassing the average for the first time. However, colon cancer survival rates are still below average. Delays over patient discharges are worsening. “Since 2013, England has seen a significant increase in the number of days people stay in hospital after a doctor declares them ready to be discharged or transferred, reaching over 30 additional bed days per 1000 population in 2015,” the report said. “This increase largely reflects ongoing health or social care services not being ready to receive patients,” the report concluded.